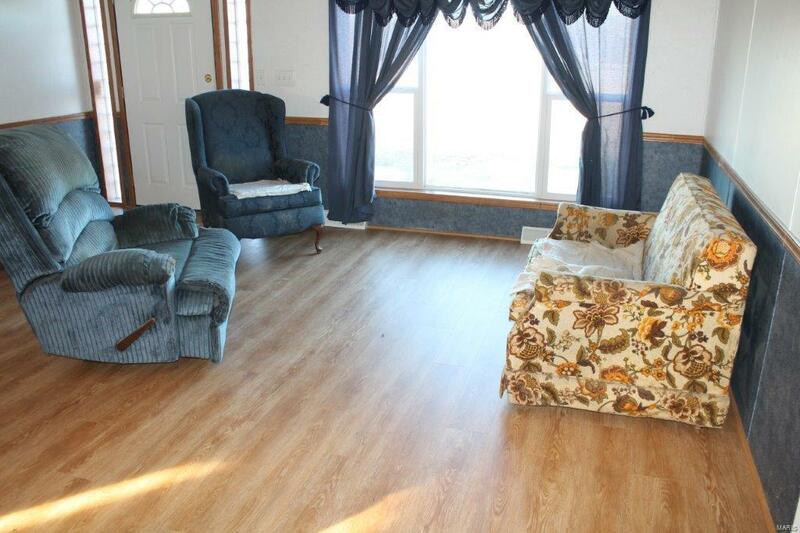 Gorgeous country setting with over 1800 square feet of living space! 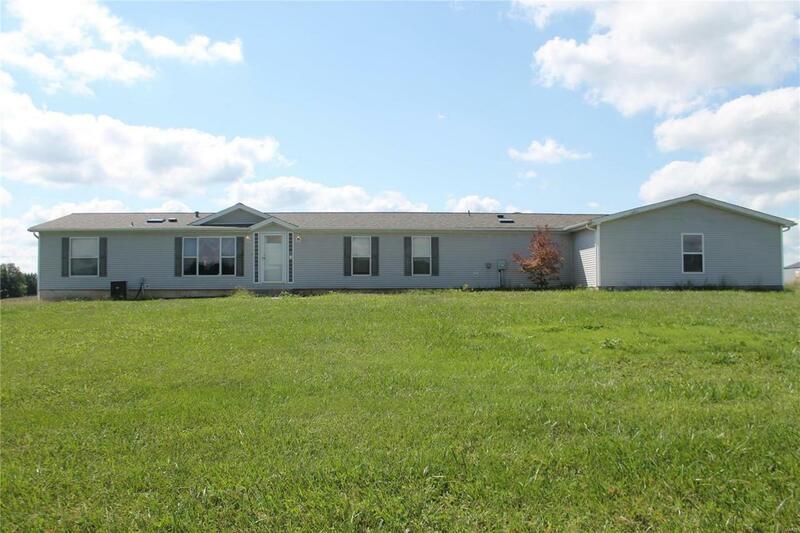 Full basement, oversized garage and open covered back porch are a few of the extras that compliment this 3-bedroom, 2-bath, doublewide home on 4 +/- open acres. Fenced back yard with a beautiful view, brand new vinyl wood floors, new roof, wood burning fireplace, large kitchen, breakfast room, sitting room, separate dining area, main floor laundry and a nice sized master bath further compliment this country home. 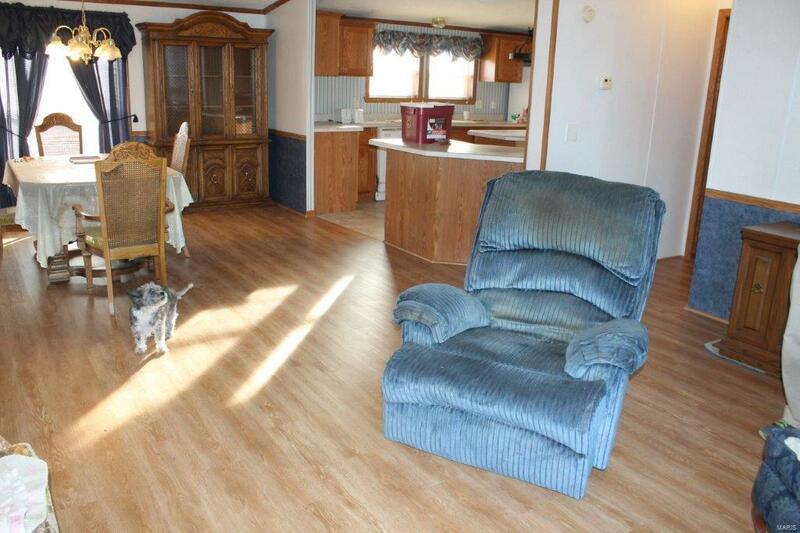 Great location minutes from I-70 and just off of county road. Sellers are having a new home built and cannot move out till the end of August, 2019.